I have very similar feelings when a time en femme is in the near future. It took me some time to work out your heading, though. I think it's because (as I'm from southern England) I pronounce Aunt as "aren't" rather than "ant"
My goodness! Zayn Malik is a dead-ringer for Rachel Leigh Cook in "She's All That" (from several years ago). Rachel plays a girl who goes from ugly duckling to glamorous prom girl with the encouragement of an unlikely guy (Freddie Prinze Jr.). You can Google the images and see what I mean. 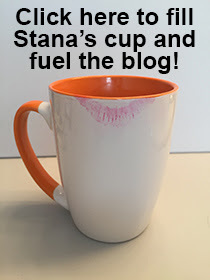 Sure enjoy your blog, Stana. Keep up the great work you're doing with the outreaches, too.! I Googled Rachel Leigh Cook in "She's All That" and you are right!